Hi everyone! New to the forums. Bought my hictop about a month ago and have been enjoying it. 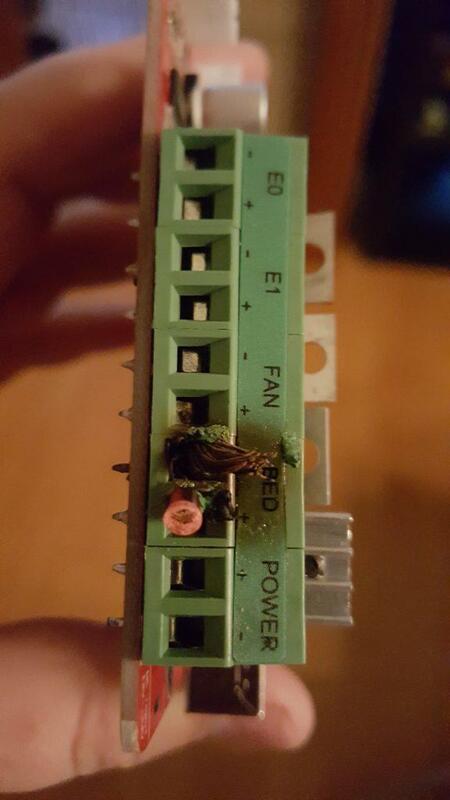 I noticed the connection for the hotbed was fried this morning, and am looking for a replacement. I was wondering if anyone had upgraded their control board. I was looking on amazon for a replacement, and it seems like the hictop control boards are like this in general (no circuit protection). The reviews are mixed, but the 5 stars are people saying that it's a good spare. In one of the 1 start reviews, someone recommended getting a board from 'OSOYOO'. I found this Control Board, but wanted suggestions from other hictop owners. I will probably upgrade my power supply and wire at the same time (I was looking at the one that Chip Luck posted in the power supply upgrade post). After the initial post, I went home and at my control board to see what it looked like. Well, it definitely wasn't pretty. I ordered the new board and have been extremely happy since. It is smaller than the original board, but the screw holes are in the same place, so it can easily be swapped out. To give an idea on the size, the screw holes are in the 4 corners of the board. When installing the new board, I realized just how much damage had been done as I wasn't able to unscrew the negative wire for the heat bed. The cable had started to oxidize too. I ended up having to cut the wire. Here is the final result of the board being removed. Chip - thank you for the help with the firmware in the other forum post. glad ur back in business.... i feel the same as you... like i know the stock hictop board "get the job done", but would like to know more about what other alternatives are out there on boards that are better quality. The smoothie board looks great, and I definitely want to look into that. But...it was a little too much for me to consider at the time...especially when I'm looking for an immediate replacement. I'm looking into building a printer from scratch in the next month or two, so I will probably get one then. I can provide feedback on the board then if you're still interested. After purchasing my 1st Hictop 3DP11 I noticed that the mosfets were getting a little to hot so I added a heat shield (Heatsink). Using the heat shield TO220 Heat sink Mounting Kits. 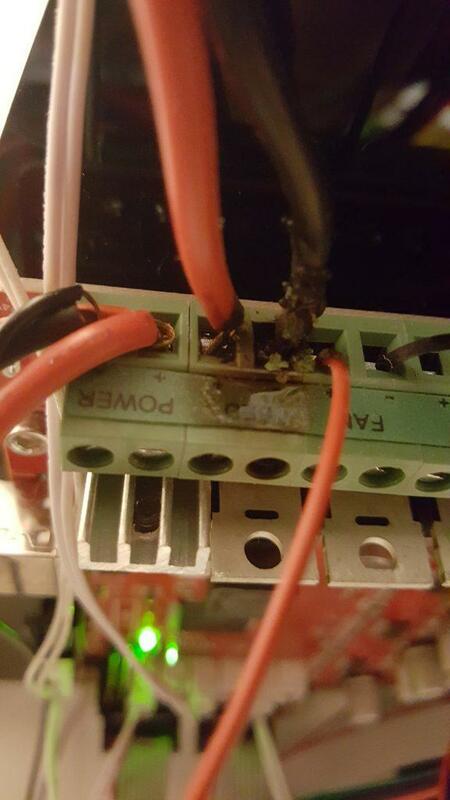 The mosfet on my board that was getting hot was for the nozzle. I have also add a fan Bezel to cool the controller mounted in a snap together case. Did not place holes for fan, drill where you want or modify before you 3Dprint to include the fan mounting holes. I mounted a 60mm Fan drilling just 2 holes you may want more.